Kevin Owens is one of the prominent wrestlers of WWE. Unfortunately, Owens got injured last year, and he is recovering from a knee injury. However, he is expected to make a comeback before the Show of Shows. Since WWE showed a video of Owens last week, he could be set to return soon. The former Universal Champion expressed his excitement to return. It will be interesting to see if he comes back before Fastlane, which is set to take place next month. Owens was part of the red brand before he got injured. He has been a top heel of the company, and he is undoubtedly one of the best superstars of the New Era. He has earned plenty of success in his main roster career. Kevin Owens was a massive name in the independent circuit before he arrived in WWE. Owens signed for WWE in 2014, and he had significant success in NXT. 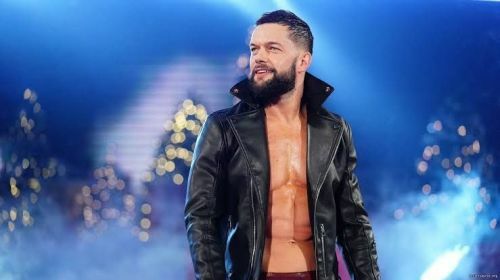 He had memorable bouts with Sami Zayn, Neville, Finn Balor, and many more. Owens won the NXT title once, and he made his main roster debut in 2015. Owens had an astounding start to his main roster career as he defeated John Cena in his debut match. He has won the Intercontinental title once, US title once, and the Universal title once. There is no denying that Owens has established himself as a leading superstar of the company. WrestleMania 35 is less than two months away, and the excitement is sky-high in the WWE Universe. The show will be held on 7 April, at the Metlife Stadium in New Jersey. As a matter of fact, WrestleMania 29 was held in the same venue and was an immense success. 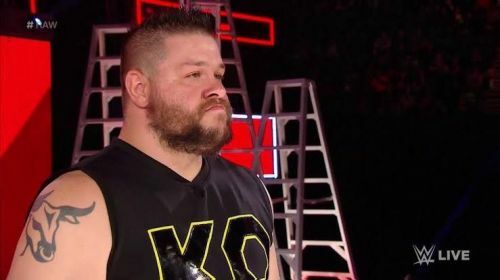 Here we discuss three best possible opponents for Kevin Owens at the Grandest Stage of Them All. Finn Balor is undoubtedly a great opponent for Kevin Owens. Balor is the current Intercontinental Champion and is having a remarkable feud with Lashley. Balor won the title at Elimination Chamber where he defeated Lio Rush and Bobby Lashley in a handicap match. Balor is a veteran in the squared circle and had immense popularity in Japan. He wrestled in Japan several years before WWE signed him in 2014. He became a big name in NXT, and he produced some remarkable matches. Balor was the longest reigning NXT Champion as he held the title 292 days. Subsequently, he continued the impressive momentum on the main roster as he became the inaugural Universal Champion. Unfortunately, he had to relinquish the title after an injury. Balor's astonishing run halted after he came back from the injury and he was not in the title picture for two years until he faced Brock Lesnar at Royal Rumble. Owens and Balor had a memorable rivalry in NXT where they produced some spectacular bouts. The two men also locked horns on the main roster. They are awe-inspiring in-ring performers, and they can offer a top-notch match in New Jersey. Owens could be the next title challenger of Balor if the latter stays champion till WrestleMania 35.